Be A Hot Chip On The Block - Used To Have A Little Now I Have A Lot! 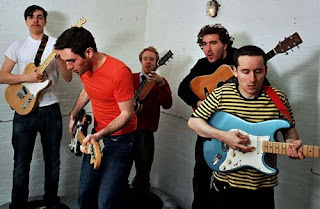 Fancy being a member of the Hot Chip Street team? * Report back - let us know what you did and share your observations. Now this isn't a bad idea but my advice to anyone who goes for this (I used to work in the legal world) is be careful not to give your lovely artwork and ideas away for free unless you really want to. I'm sure the Hot Chip guys have everything above board here anyway but as I'm sure they would agree, it's always good to practice a little caution in this copyright obsessed world. If you are still interested, click here.